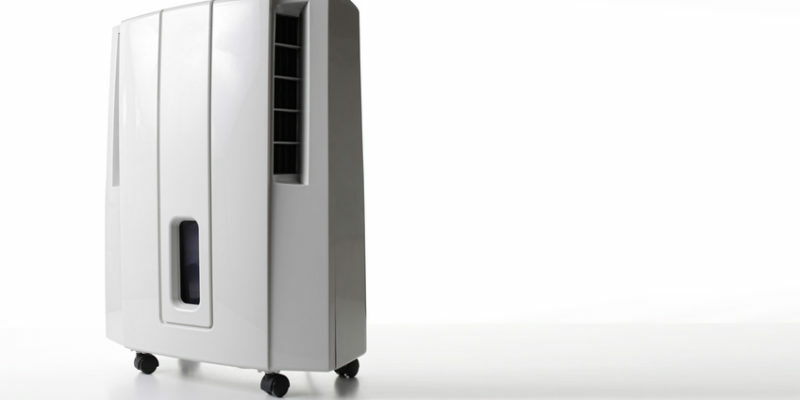 Why do I need to look for a reasonably priced dehumidifier rental near me? 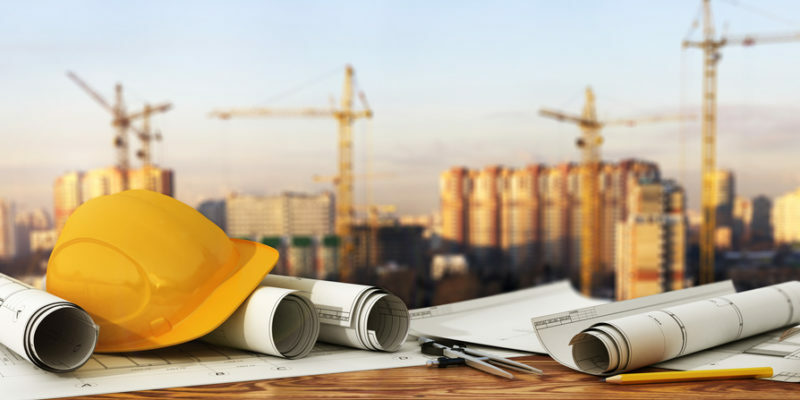 If you own or manage a construction company, are a project manager, or an operation manager, you might be asking this question when broaching the topic of renting an HVAC unit. Many work crews use these rentable units, particularly during the summer. Between construction, demolition, professional cleaning crews, renovation crews, and many other outdoor jobs, there are many professions that can benefit from a rented HVAC unit (Such as portable air conditioner rentals). One reason to look for a “Dehumidifier rental near me” as stated above. There are a variety of health issues that can arise from working outside in the heat. Workers can suffer from dehydration, heat stroke, heat cramps, and heat exhaustion are just some of the health problems workers can be faced with. Allergies can also become an issue. In fact, according to the American Academy of Allergy, Asthma, and Immunology, indoor allergens can be significantly cut by a 50% cut of humidity. Outdoor workplaces are not temperature regulated like indoor workplaces are (Occupational Safety and Health Administration standards say that the workplace must be kept between 68 and 76 degrees Fahrenheit). There are reasons for these standards, so it could be worthwhile for outdoor workplace leaders to take this into account. Obviously, if a worker should get sick, two things could happen: the crew could be short staffed, or a replacement would need to be brought in. A short staffed crew will be at more risk for heat related symptoms, and a replacement will be learning the job as they go, which can reduce productivity. Also, workers that see their employers are taking steps to take care of them will want to stay with that employer longer and do their job better. Most could imagine that a work crew in a more comfortable environment could be more productive. However, many might be surprised at just how much more productive they could be. According to a study by Cornell University, productivity levels are highest at a temperature of 71.6 degrees. The more productive (efficient) a crew is, the quicker that they can get the job done. The quicker a job can get done, the less the budget will be, and profits will increase. Also, if your crew is working with wood, excessive humidity can make it warp. This will make the job cost more money, decreasing profits and prolonging the project. Next time you are thinking “Why do I need to look for a reasonably priced dehumidifier rental near me?”, you should consider the health and productivity benefits, as seen above, for your workers. You should consider contacting an HVAC rental service such as Total Construction Rentals. Many customers recommend them. Remember, comfortable employees are productive employees. If you work in the construction industry, winter can be more than just uncomfortable — it can be deadly. In order to ensure your employees are properly prepared for the onslaught of blisteringly cold winds and subzero temperatures, we’re going to discuss the telltale signs of frostbite and hypothermia, and teach you how to react if things have progressed too far. The best way to avoid both of these scenarios is to provide a safe and warm place for your workers to recuperate. There are a variety of rental heaters and temporary heating options available for construction sites, from propane heater rentals to electrical and even entire HVAC rentals. If you’re a construction worker yourself, don’t take the risk; situate yourself near the rental heaters until you feel yourself warm up. If you ignore your pain and discomfort, you may end up losing a limb — or your life. If you’re looking for temporary heating for construction, contact Total Construction Rentals at 1-877-HEAT-451 today! People have more options when it comes to their housing. Whether a person selects a rustic cabin, buys a modern condo, or opts to purchase some other kind of housing, one thing stays the same. Owning a home can be very expensive. There is one area where homeowners can save some cash. The heating, ventilating and air conditioning (HVAC) system can cost a lot to run and maintain. This is the reason many homeowners are looking at HVAC rentals as alternatives to buying the system. You need to check the warranty. It is important to get the most comprehensive warranty on the market. You have to make sure there are contractors in your area who can fix your unit. You need to research the unit you want to see if it is as good as the seller says it is. You need to keep up with regular maintenance and filter replacement. If you are only going to be in a space for a short amount of time, HVAC rentals can work for you. This makes sense if you are talking about temporary heating for construction projects or need portable air conditioner rentals. When you are looking at HVAC rentals, dehumidifier rentals, or rental air conditioners, you have to find a good company to work with. Before you sign any kind of contract, you need to make sure you understand the terms of your rental agreement. If you need to terminate it before it expires, what kind of fee will you be charged? You should also work out how much this will cost over the rental agreement timeframe to work out if this will actually save you money. To give a more concrete example, consider a hypothetical. 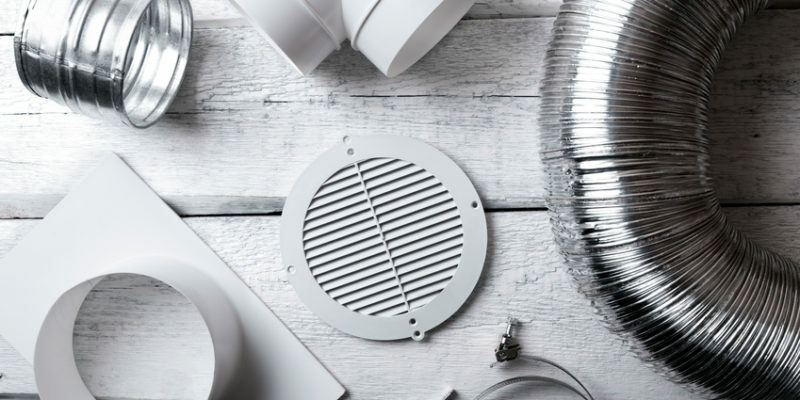 If a homeowner or construction company is looking at getting an HVAC system, they need to see which option is the best for them. If they are looking at a unit that has a price tag of $3,000, you can go three ways. You can pay $3,000, get financing to pay for the unit, or you can look into the rental options you have. When you buy a system, you have other costs you have to pay past the sticker price. You have to worry about having it installed, having it maintained, getting new filters, and the depreciation that happens with anything you buy. When you finance your unit, your overall costs will be higher than when you buy a unit outright. In addition to the added costs of financing the purchase of any item, you are responsible for the maintenance and installation of the HVAC system. When you rent a unit, you will pay much less for the unit. You will be responsible for the fee you pay every month until the contract ends. Typical rental agreements will also include the installation of the unit and any repairs and maintenance that need to be done on the unit. The unit that would cost $3,000 outright can cost $180 over a three year period. If you like the unit, you can often opt to renew your contract when it ends. Ownership of your home or your HVAC system carries a lot of responsibility with it. The proper maintenance of any HVAC system is critical to its running properly and to keep the property safe. When people neglect to check and change their air filters, this can lead to fire hazards. When you are talking about HVAC rentals, you no longer have these responsibilities. Another benefit to HVAC rentals is the fact that you can get a new system every few years. If anyone in your home suffers from allergies or asthma, this can make a big difference in their quality of life. Improving the quality of air in your home or workspace can make it a safe place to spend time. In workspaces, improving the air quality can make employees increase their productivity and performance by between 6% and 9%, according to the National Center for Biotechnology Information. This winter has been one of the coldest in years. Entire sections of the country have been exposed to arctic winds, record-breaking subzero temperatures, and snowstorms so intense that they can bury cities in a single night. Though many industries have suffered from the extra burden this frigid weather has brought, none are as impacted as the construction industry. Cornell had previously discovered that productivity levels are highest at a temperature of 71.6 degrees Fahrenheit, but those forced to work and build outdoors in the past few weeks haven’t even gotten close to such balmy weather. A few construction workers from Montana spoke openly about how the cold affected their work. Keenen Heath has been employed by Permanent Exteriors for about five months, and stated that preparation is key when dealing with such icy conditions. “I got two shirts, I got one sweater and this big jacket, a couple gloves, a couple socks and shorts under here,” he said. Raheem Redstar, who has been with the company for an estimated two and a half months, said that sometimes getting ordered to take time off due to the extreme cold is more detrimental than helpful. Despite the fact that his fingers and toes are safe from frostbite, his finances suffer; Redstar would rather work than stay indoors at home. Though severe cold can hurt even the healthiest of individuals, it can exacerbate pre-existing conditions. Two of Redstar’s coworkers suffered from health problems this week — one had an asthma attack and the other (who is diagnosed with diabetes) lost circulation in his legs. Construction companies have no influence over how their employees dress, but they can go the extra mile by securing rental heaters for extreme circumstances. Since both workers and companies lose out on profit when they are sent home due to weather, setting up rental heaters (or an HVAC rental) in an enclosure simply seems prudent. Workers are able to rest and recover from subzero winds and chilling snow thanks to propane heater rentals, and work can continue — though it may slow down a little. In the grand scheme of things, slowing down is better than stopping. By securing temporary heating for construction, everybody wins. In late January, the Midwestern U.S. was slammed by a wave of cold air not seen in decades. Arctic winds flowed from the frigid Arctic regions, creating a polar vortex that brought temperatures to new record lows. Chicago saw the worst of it, experiencing subzero temperatures for 52 straight hours. At its worst, it plummeted to -52 degrees Fahrenheit with windchill — the Windy City certainly lived up to its name. In the days leading up to the freezing winds, Chicago was battening down its hatches. Warnings from major corporations to employees urged them to work from home, if possible; but what about businesses that operate outside and in the cold? 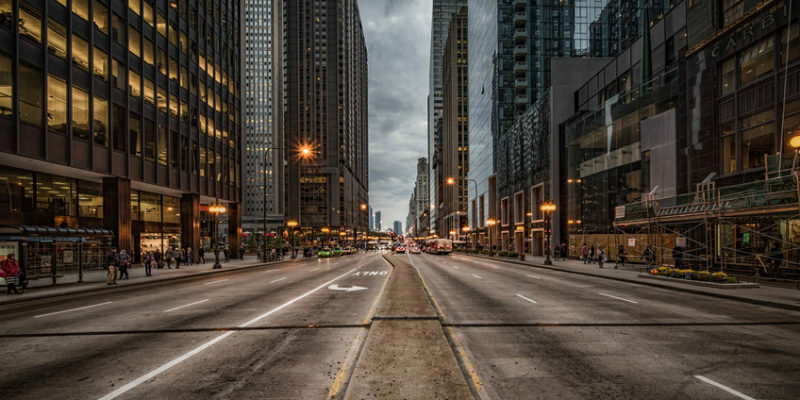 Construction progress, in particular, ran the risk of being halted due to impossible working conditions, and Chicago — the third-largest city in the country — is always in the midst of some grand project. Currently ongoing is the Vista Tower, which will become the city’s third-tallest skyscraper when it’s completed in 2020. According to David Carlins of the Magellan Development Group, the McHugh Construction crews working on the planned 1,191-foot-tall tower were expecting to lose at least one day due to the inability to pour concrete. “It’s extremely rare that the temperature itself shuts down a construction site, but we’re talking about record lows,” he said. Experts say that the best temperatures to pour concrete are between 50 and 60 degrees Fahrenheit, making its creation nigh impossible in the subzero temps. If fresh concrete freezes within its first 24 hours, it can also lose a significant amount of its strength, temporary heating solutions must be available to keep insulated areas or heated enclosures at the proper temperature. Beyond that, rental heaters (or any form of temporary heating for construction) need to be present to keep your workers from freezing. In -19-degree Fahrenheit conditions, frostbite can set in in as little as 30 minutes; Chicago saw a temperature nearly three times as cold, meaning it would’ve taken no time at all to cause damage to outdoor workers. Fortunately, no reports of cold-related harm have been reported regarding construction workers. 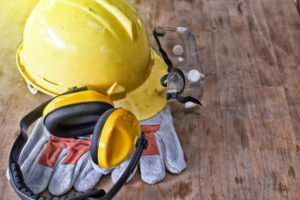 Although there is no temperature standard for outdoor sites, OSHA does maintain that indoor locations be kept higher than 68 degrees Fahrenheit; whether it was thanks to propane heater rentals or full HVAC rental units, no construction sites fell behind schedule, and no workers got hurt. Construction projects run year-round. From residential remodels to corporate constructs, the industry works through heavy rains, oppressive heat, and severe snowstorms. Though we don’t have to worry about employees suffering from heat-related syndromes (like heat cramps, heat exhaustion, or heat stroke) in the dead of winter, there are a number of other major risks that occur in the bitter season; here are three of them. Cold stress: Temperatures near or below freezing (or exceptionally strong and constant winds) can wreak havoc on the both the body’s external and internal systems. Frostbite, trench foot, and even hypothermia (if the internal body temp drops below 95 degrees) can occur with enough exposure. If you’re running an outdoor construction site, make sure your workers have access to a warm and insulated area to recover. Falls: Everyone knows that ice is slippery. 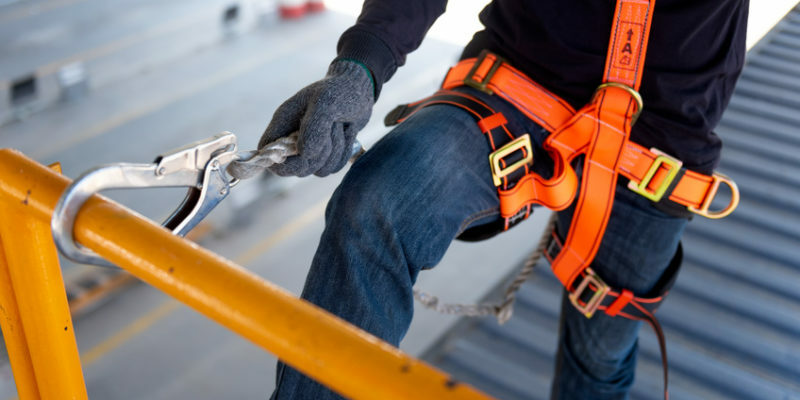 On top of the fact that your workers may become seriously injured (especially if the ice is concealed by snow), your company could be held liable for any accidents that occur. Add in the fact that many construction workers are often hauling equipment or materials around, and you’ve got a recipe for disaster on your hands. Do your best to ensure that areas are kept warm and snow-free, or at the very least are well-salted. 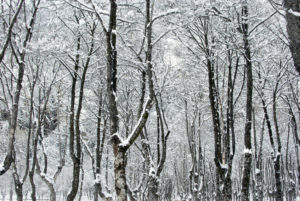 Snow removal: Outdoor construction can be difficult if you never get a break from the weather. 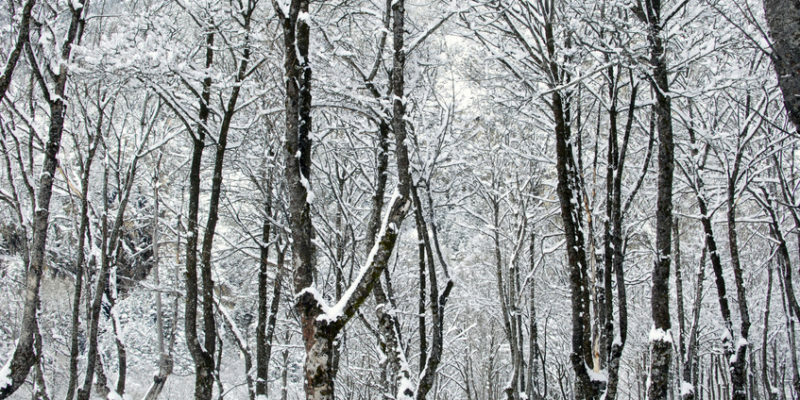 Snowstorms happen, and with relative frequency in the winter months; your site will most likely need to be cleared of any snow buildups on a consistent basis. Any worker tasked with brushing snow off of roofs, decks, or scaffolding will be exposed to higher risks. Do your best to limit these by ensuring workers are wearing fall-protective gear, and use snow removal methods (like long-handled snow rakes) that do not require workers to put themselves in danger. Snow and ice pose serious threats in construction sites throughout long, harsh winters, but the comfort of your workers — and their internal body temperature — is equally as important. By finding temporary heating for construction (such as propane heater rentals), you can ensure that no frostbite, slips, or spills occur; from HVAC rentals to rental heaters, temporary heating solutions are available regardless of location or need. Propane Vs Electric Heaters: Which Is Best For Your Construction Site? Now that winter is upon us, heat is more important than ever. The construction industry is always working, and some projects are even better suited for winter weather. If you’re going to keep up morale in frigid and freezing temperatures and storms, ensuring that your workforce has a constant and reliable source of heat is your number one concern. However, there are a variety of options to choose from when it comes to rental heaters: temporary heating for construction comes in the form of electric, gas, and propane heater rentals, but just which one is the best for you? Propane heaters are a good choice for several reasons. Their portability allows them to function well in temporary structures. For example, even if construction isn’t being performed outdoors, there needs to be a separate location for materials — concrete, two-by-fours, and any equipment that may be required are often kept in nearby tents or shelters. Since these buildings are made to be dismantled after the work is completed, they aren’t equipped with heating capabilities. Propane tanks fit nicely wherever they’re needed. In addition to being an excellent backup solution should your main system fail, propane heater rentals come in a variety of sizes, types, and designs. You’ll have control over how much heat you want and how long the heaters need to run for in order to guarantee that no worker is left out in the cold. If construction is taking place where outlets are available, you may want to consider an electric heater rental. They are powerful (capable of producing up to 6000 watts of energy, equating to over 20,000 BTUs), making them a great choice in large, open spaces. However, in terms of the flexibility sometimes required in the construction field, they may not be the best fit; once you’re done in one area, you may realize that the next one does not possess outlets and a secondary source of heat needs to be established. Staying warm is more than just about comfort; if the body’s internal temperature falls before 95 degrees Fahrenheit, hypothermia will occur. If you supply a steady and safe heating solution through electric or propane heater rentals, your workforce will be happier and healthier. Cease the endless ‘temporary heating near me’ Google searches and contact TRC at 877-HEAT-451 today. Construction projects are ongoing; anyone who lives in a major city can tell that even in the dead of winter when storms are raging and temperatures are relentless, work never really stops. If you’re looking at a construction job for your home or business, you know that working during the winter is possible — but is it worthwhile? Here are three things to consider when deciding whether to get to work or wait until spring. Is your project time-sensitive? Deadlines are always important when it comes to construction, but some may be vital to adhere to. For example, if you’re working on a new storefront or location and your current lease is going to end in the coming months, you’ll have no place to move your family or employees. In such cases, the cost is worth pushing through the winter as temporary housing or working conditions may run even higher. Can your budget stand up to summer costs? Although construction work in the winter can’t operate at full efficiency and may take longer, labor costs spike on June first. The prime building months span from April to October, so the peak working months are dead in the middle of summer; this means that it’s vital to reach your deadline ahead of June if money is tight. Efficiency may not be at its highest in the winter, but it’s definitely possible to get the larger chunks of work done during that period to speed the timeline along. Does your chosen construction company have the tools necessary? Building in the winter means the need for temporary heating for construction is higher than ever. 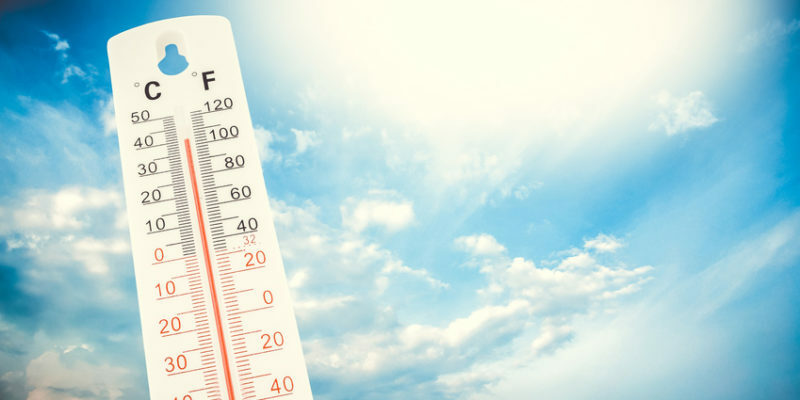 Though you won’t have to worry about your workers suffering from heat exhaustion, you — or rather your construction company — will need to provide a space that is warm to combat hypothermia. The construction company will need to arrange for propane heater rentals, direct fired rental heaters, or a temporary heating HVAC rental. The outcome of your decision depends entirely on your personal needs. However, it would be smart to heed the advice of your construction company — if they tell you your intended project isn’t ideal for the frigid conditions of winter, listen.